The Mercedes A-Class may be getting some competition. If you want the least expensive BMW sold in the US, the X1 crossover is the model for you with a starting price of just under $35,000 (just edging out the 2 Series Coupe). 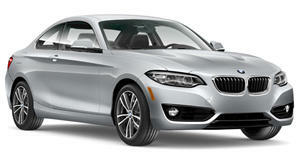 In other parts of the world, the compact 1 Series hatchback is the most affordable BMW on sale. BMW does build a sedan version of the 1 Series for Mexico and China but hasn't announced any plans to offer it in the US. While the sedan is a specific model for Mexico and China, the European hatchback model is set to receive a major refresh later this year. Our spy photographers were able to capture images of the car (both inside and out), prompting us to get excited about this upcoming BMW hot hatchback. 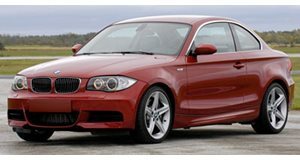 We've coveted the BMW 1 Series hatchback for several years now, especially the unique rear-wheel-drive outgoing model in Europe. This new car will switch to front-wheel-drive using BMW's UKL platform, which is also found on several Mini models as well as the BMW X1 and X2. Even though the 1 Series will lose its ability to perform RWD power slides, it will be more spacious for rear seat occupants and cargo. This generation 1 Series will only be available as a five-door after the three-door model experienced slow sales. The test mule seen here is the M140i version, which is likely to feature the same 2.0-liter turbocharged four-cylinder found in the X2 M35i. In the X2, this engine produces 302 horsepower and 332 lb-ft going out through an eight-speed automatic going out to AWD. This same powertrain may also be used in the upcoming Mini JCW GP model. The new 1 Series will adopt a stylish new interior reminiscent of the new 3 Series. The shifter looks in line with other recent BMW models and the old-school gauges have been replaced by digital ones. Our favorite detail is the interior lights on the dashboard and doors, which are lit up in a cool blue color. Expect to see a production version make its debut in September at the 2019 Frankfurt Motor Show but we doubt the hatchback model will ever be sold in the US. BMW could potentially build a sedan version to rival the new Mercedes A-Class and CLA but with the sedan segment slowly dying, this 1 Series is more likely to remain forbidden fruit.